When you were 16 and turned the radio up full volume, you had little thought about how this might damage your health. You just enjoyed the music. As you grew, you may have indulged in nights out at loud concerts or the movies. You may have even chosen a career where loud noise is the norm. Still, you didn’t think it had any long-term effects. You probably know differently today. Noise-induced hearing loss can appear in children as young as 12. But did you know that sound is so powerful that it can even be used as a weapon? That’s what US diplomats are believed to have encountered while working in Cuba. And the effects were much more than hearing loss. Let’s take a look at what we know and how this knowledge may help protect you from hearing loss. When the diplomats look back on the events as they unfolded, some recall hearing a high pitch noise just outside their rooms in the US embassy in Havana. At the time they thought of it as only an annoyance. They had to close their windows and turn on the TV to block the ability to hear the sound. But it was still there. And soon the symptoms proved this was more than a mere annoyance. Diplomats and staff began suffering from headaches, sleep disturbances, memory problems, hearing loss and balance issues. They’re going to therapy to this day. Many suffered irreversible damage. While this is an extreme example with conspiratory elements, the question remains, could sound really do something like this? Can Sound Make You Sick? Whether the sound was an attack or a natural phenomenon is yet unknown. The Cuban government denies it. Insects such as cicadas can produce a similar phenomenon. The investigation is ongoing. While we may never know for certain what this sound was. It’s evident to doctors and scientists alike that certain sound can make you sick. Very loud sounds damage the inner ear. 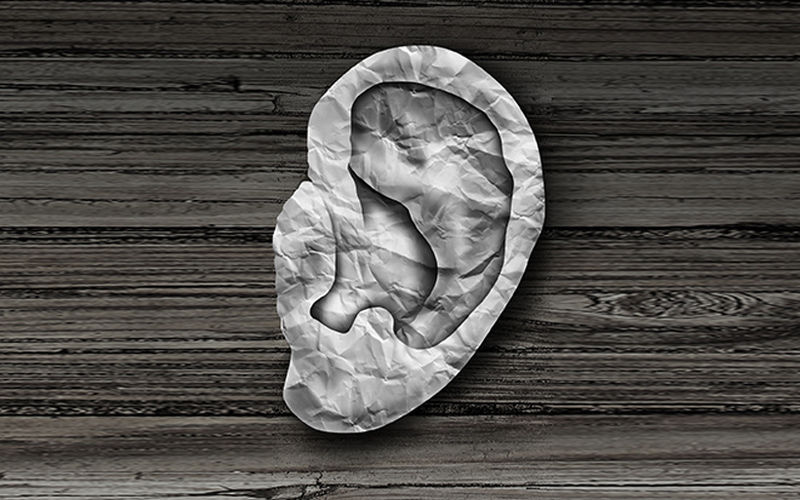 You have tiny hairs that pick up sound vibrations after they pass through the membrane of the eardrum. Once these small hairs are damaged, they don’t ever heal or grow back. This is what causes the sensorineural hearing loss that many deal with as they age. Damaging volume starts at 85 decibels over an 8 hour period of time. If you’re exposed to over 100 decibels, permanent damage occurs within 15 minutes. A loud concert is around 120 decibels, which causes instant, irreversible damage. Noises can also impact cardiovascular health. Exposure to loud sounds can increase stress hormones, which can lead to clogged arteries, obesity, high blood pressure and more. This may explain the headaches and memory problems that the diplomats suffered. These are strongly linked to cardiovascular health. In fact, one study showed that sound begins to impact the heart and hormones are as low a 45 decibels. That’s roughly the volume of a person with a quiet inside voice. The sound in Cuba wasn’t that loud. They could block it out with a television. How might it have been able to make people sick? High frequency sounds like the one experienced in Cuba can do significant damage at lower volumes. Have you ever cringed when someone scraped a nail on a chalkboard? Have you ever begged a co-worker to stop as they press their fingers across a folded piece of paper? Have you ever had to cover your ears during a violin recital? You’ve felt the power of high-frequency sounds. The pain you felt was actually indirect damage being done to your hearing. If you endured this for a time, frequently expose yourself to it or were exposed at a high volume, then the damage may have become permanent. Studies have also found that you don’t even have to be able to hear the sound. High pitch sounds emanating from sensors, trains, machinery and other man-made devices may be emitting frequencies that do damage with prolonged exposure. Very low-frequency sound called “infrasound” can also impact your health. It can vibrate the body in such a way that the person feels nauseated and dizzy. Some even experience flashes of color and light ordinary in migraine sufferers. Be aware of how you feel about certain sounds. If you’re feeling pain or other symptoms around certain sounds, limit your exposure. Get your hearing tested regularly by an audiologist to understand how your hearing may be changing over time.